View pictures of construction at Burrell Field and the Architect Drawings. 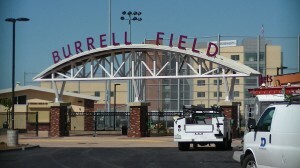 The passage of Measure M, a 50.1 million dollar school construction bond in 2010 provided the funding for the rebuild of iconic Burrell Field and the Pacific Sports Complex. Construction on the project began in May 2012 and completed in July 2013. 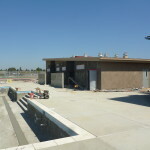 The another marquee project compliments of Measure M. The old pool was threatened with closure by the Alameda County Dept. of Health in 2008. 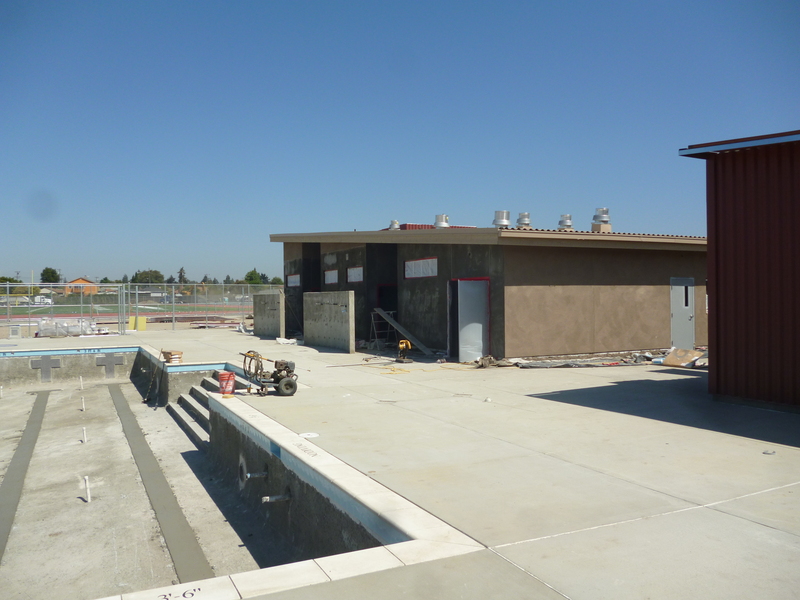 Fortunately, the Citizens of San Leandro approved Measure M to provide the funding to rebuild a brand new aquatic complex and renovate the football, track and baseball fields. Construction for the new facility began in June of 2012 and is scheduled to be completed by the end of 2013. 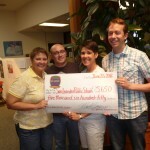 The San Leandro Sports Foundation has raised approximately $100,000 over the past five (5) years for sports, and health and fitness programs in SLUSD. The SLSF fundraising events are large, fun, and family oriented, in the past we have hosted a Fitness Challenge Obstacle Course, 5K Family Fun Run and Fitness Festival, Spaghetti Feed & Ice Cream Social, and Celebrate Burrell Field – The Last Game, and our iconic Citywide Youth Track and Field Meet.